Hooton Park Airfield (RAF Hooton Park) was an airfield 275 kilometer northwest of London. It was built on a militarised horse track. When the army unit stationed here had left for battle in France, the War Department built one single and three double aircraft hangars, which were completed in 1917. The hangars had a unique latticed timber roof construction – Belfast Trusses - as originally used at the Belfast shipyards to cover large working areas providing strength at low cost. The airfield then became 4 Training Deopt Station and the Royal Flying Corps moved in to form the fighter squadrons so badly needed in France, using Sopwith Scouts, Sopwith Dolphins and Avro 504s. Some of the pilots killed in training accidents were buried in the local churchyard at nearby Eastham. Large numbers of American and Canadian pilots were also trained at Hooton Park. The Royal Flying Corps became the Royal Air Force on 1 April 1918. At the end of that year World War I ended and Hooton Park was closed after its last 37 aircraft had moved to RAF Sealand. The following years the airfield was used as farmland, although the hangars remained on site. In the 1920s, the site was bought by aviation enthousiast Mr. G.H. Dawson. In 1927 it was used for an airshow by the Liverpool Corporation. As a result of its success, the Liverpool and District Aeroclub was formed. For a fee, Dawson allowed the club to reside on his airfield and in twelve months it became one of the most successful in England. 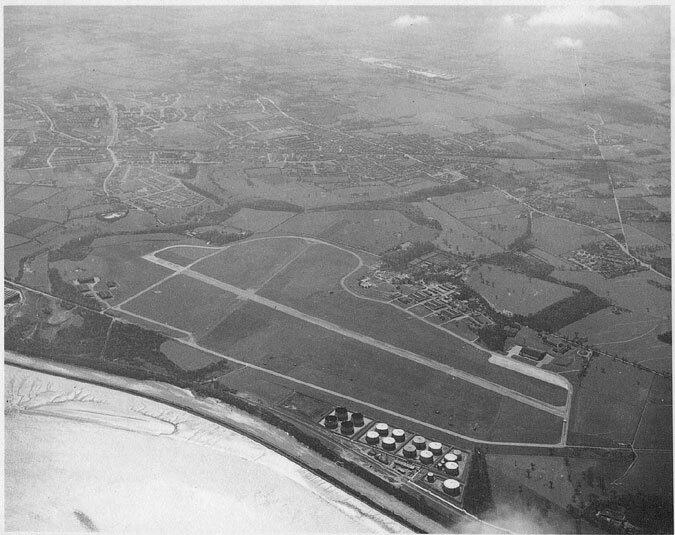 Soon it was one of the top-3 airfields in the north of England and for three years, the airfield served as Liverpools airport, until the Liverpool Corporation opened Speke airfield on the other bank of the Mersey. The airfield remained an important airfield though, with many private owners and small airlines using it. In 1936, 610 (County of Chester) Sqn Auxiliary Air Force was formed at Hooton Park. Most of its pilots had taken private flying lessons to qualify. One person said, "Never have I seen so many Rolls-Royce cars in one spot at the same time", which was a good indication of the pilots' typical social status. The unit was initially a llight bomber squadron equipped with Hawker Hind and Hart bombers, and Avro Tutor trainers, but in 1939 the squadron took charge of a flight of Hurricanes that were quickly replaced by Mark 1 Spitfires. At the outbreak of the Second World War on 3 September 1939 the squadron was mobilised and sent to RAF Wittering for training. At the same time, aircraft services provider Martin Hearn obtained a contract from the Ministry of Aircraft Production to repair large numbers of Avro Ansons and later for De Havilland Mosquito fighter-bombers. Operating as 7 Aircraft Assembly Unit, the work also included the assembly of various types of US-built aircraft that arrived by ship at the Mersey docks. Aircraft included the P-51 Mustang, P-38 Lightning and P-47 Thunderbolt fighters, A-20 Boston/Havoc and Canadian-built Handley Page Hampden bombers, and Harvard (North American T-6 Texan) trainers. Throughout the war, thousands of aircraft were assembled and repaired at Hooton. In addition, the RAF operated a flight of Coastal Command Avro Ansons, Tiger Moths and Hornet Moths on anti-submarine patrols during 1939 and 1940 and 11 Radio School and 3 General Reconnaissance School also flew from the airfield. 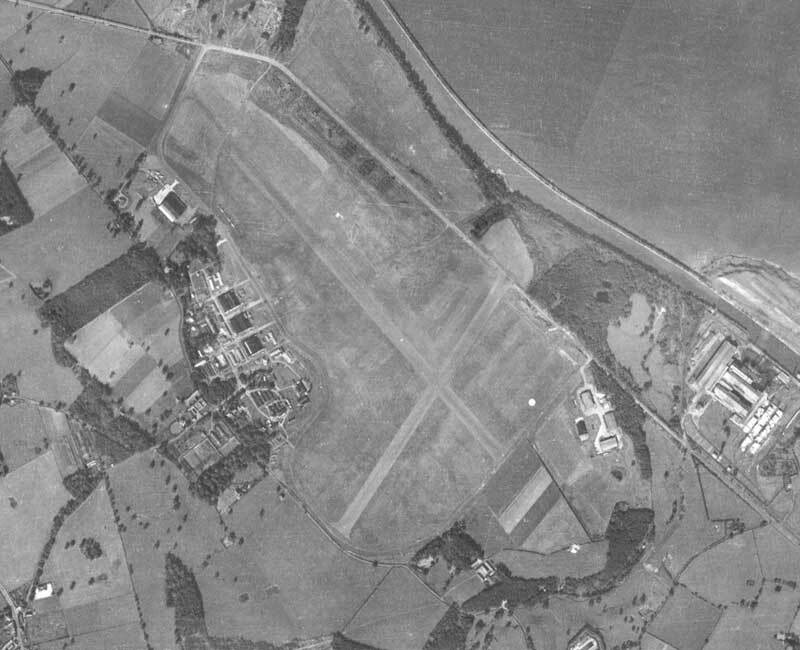 In 1941 the grass airfield was transformed to include a 5,400-foot concrete runway – one of the longest in Europe at that time. The first helicopters used by the Allies were also assembled and tested at Hooton towards the end of the war. As war weary aircraft became redundant, they were sent from all over the country to 100 Sub Storage Site at Hooton to be scrapped. The end of World War II brought a decline in work to Martin Hearn and the company needed to seek peacetime work. As a result, Martin Hearn Ltd. repaired buses, overhauled armoured cars and manufactured Slingsby gliders. Mr Hearn left his company after the war to run the Glider Club, adjacent to the airfield at its north western corner, as a successful and popular hotel for 25 years. The company, renamed Aero-Engineering and Marine (Merseyside), survived until 1955, servicing Canadair Sabre jet fighters for the RAF and RCAF. In 1946 610 Squadron RAuxAF returned to Hooton Park after valiant war service, flying Spitfires in the European theatre. They were joined by 663 (AOP) Squadron, which was reformed at Hooton Park in 1949, using Auster artillery spotting aircraft. In 1951 610 Squadron received Meteor twin jet fighters, and was joined by 611 Squadron (West Lancashire), relocated from Woodvale to use the lenghtened (6,000ft) Hooton runway required for this type of aircraft. The three squadrons operated as RAuxAF units from the airfield until all Auxiliary flying squadrons were disbanded in March 1957. The station was then closed and all flying at RAF Hooton Park ceased. 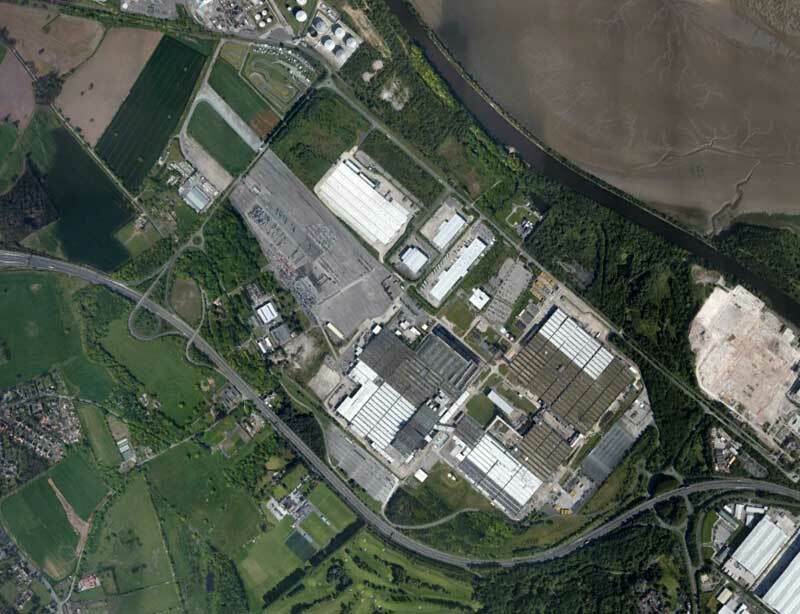 The closure of the aerodrome was not yet the end of the story for Hooton Park. It became the site of the north’s biggest agricultural show (the Cheshire Show) until 1977 and its runways continued to be used by Shell Research for testing cars at high speed. In 1960 the site was purchased by Vauxhall Motors for the construction of a vehicle production plant at Ellesmere Port – the first car to roll off the production line being the Vauxhall Viva. In the summer of 1986 Hooton opened its gates for two days to host the ’Wheels 86 Transport Extravaganza’. The event was so successful that four more ‘Wheels Shows (1988, 1992, 1994 and 1996) were held. Over 80,000 people attended these events and many thousands of pounds were donated to charities from the proceeds. In 1988, for the first time since 1957, the runways were used. RAF Harrier jump jets thrilled the crowd, and for a few precious hours, cutting edge aviation technology paid homage to this pioneering aviation site. From the early 1980s, the Hooton Park Trust has made efforts to conserve Hooton Parks aviation heritage, especially its World War I-era hangars. 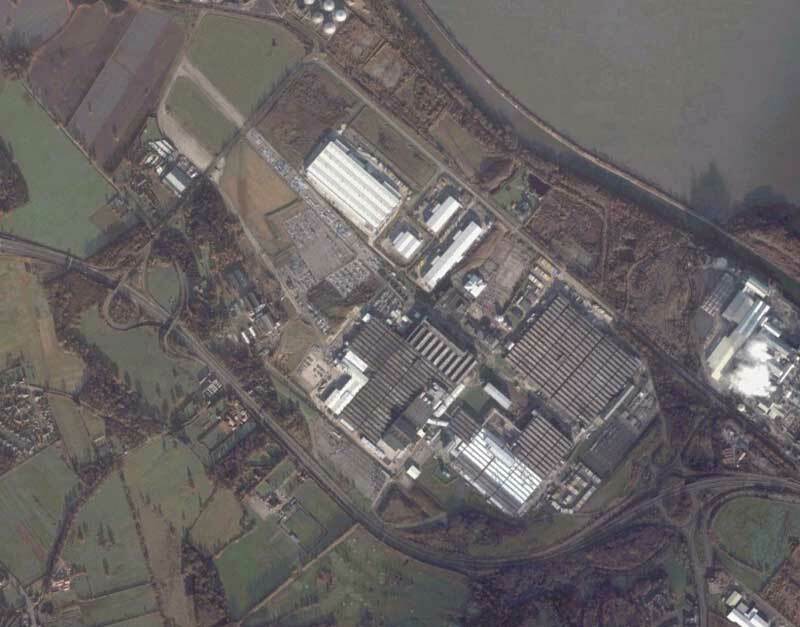 Although they succeeded in blocking demolition by the Vauxhall plant and getting the site listed as a two-star site by English Heritage, they could not prevent a roof collapse of a Hangar on 16 December 2011. In addition to these hangars, a section of the main runway, together with a taxi track and aircraft hard standings, survives at the western end of the airfield. An adjacent large World War II hangar remains in industrial use.